Since 2002 The Abler Boys have been performing in various venues throughout Wisconsin. 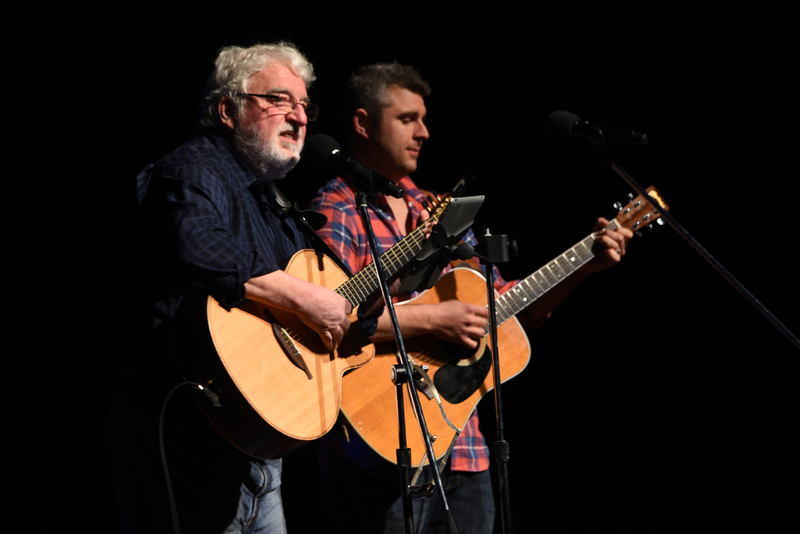 On any given night this father/son duo will pick from a large arsenal of tunes ranging from classic covers to their own original material. Keith (Sunblind Lion, The Love Society, Flashback) and Luke (Bowser) Abler draw influence from many artists, and combine their love for music to create a distinct acoustic sound that only they can replicate. Hailing from Elkhart Lake, they have become regulars in the local music scene. While their style and setlists have evolved over the years, their mutual love for creating original material and placing their own touch on classics has remained the same. During the summer of 2016 they released their first full-length collaborative studio effort called ‘See In Sound’. With two guitars and two voices that come together as one, The Abler Boys love to perform for music lovers of all genres and continue to create one-of-a-kind shows every time they take the stage.